Scientists designed a new, on-site method for studying potential impacts rising sea levels can have on vital wetlands, said a University of Alabama researcher who led a study publishing in Methods in Ecology and Evolution today describing the modifiable apparatuses. 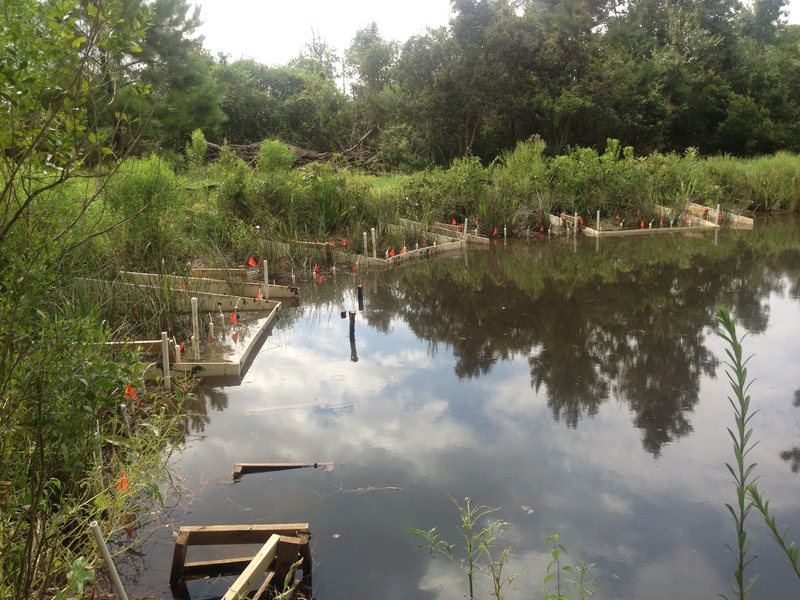 Primarily using materials available at the local hardware store, the scientists, including UA’s Dr Julia Cherry, designed, constructed and tested low-cost enclosures, called weirs, to realistically simulate three flooding levels on coastal wetlands. Simulating impacts of sea level rise on-site and at larger scales had previously proven difficult. “I hope this provides other researchers with a template to ask their questions and to improve upon the method we’ve documented to do bigger and better coastal wetland studies,” said Cherry, an associate professor in UA’s New College and its biological sciences department. The research was co-authored by George Ramseur Jr, of the Mississippi Department of Marine Resources; and Dr Eric Sparks, of Mississippi State University; and Dr Just Cebrian, of Dauphin Island Sea Lab and the University of South Alabama. Some scientists predict a warming world could result in sea levels rising by as much as a metre over the next 85 years. Increases in frequency, depth and duration of wetland flooding are expected results from rising sea levels. Coastal wetlands frequently serve as a “last line of defense,” against surges associated with hurricanes and other storms, in addition to their roles as fisheries and as natural habitats for other economically and ecologically important species, the UA researcher said. Plants that live in wetlands remove pollutants from the soil and shallow water, serving as filters that protect the open water from contamination, she said. Working at the Weeks Bay National Estuarine Research Reserve on the eastern shore of Baldwin County’s Mobile Bay, the researchers installed the adjustable enclosures near the shoreline, using them to simulate low, intermediate and high flooding levels. The research showed different inundation depths and durations could be successfully manipulated for study, adding realism to the research results. Modifications to the weirs enabled them to work during both low and high-tides. Constructed with one end open, the weirs consist of one plastic wall panel parallel to shore and two side-walls perpendicular to shore. Adjustable water flow valves and drainage holes enabled the scientists to manipulate water levels and drainage rates. Wells containing water level recorders were installed inside the enclosures to measure water depths based on changes in pressure. More sophisticated enclosures, referred to by the researchers as “active weirs,” included a water pump mechanism and timer. A typical approach in researching rising sea level is to use artificially constructed systems, called mesocosms, in which the natural environment is replicated. There are many advantages to mesocosm studies, including the ability to closely control variables, but recreating a wetland in an artificial setting typically requires disturbing the natural marsh, Cherry said. Also, those smaller-scale studies often unintentionally exclude variables present and impactful in natural settings. “Combining a mesocosm approach with a weirs approach could be a very powerful combination to try and understand the impacts of sea level rise on coastal wetlands,” Cherry said. UA’s New College and the department of biological sciences are parts of the College of Arts and Sciences, UA’s largest division and the largest liberal arts college in the state. Students from the College have won numerous national awards including Rhodes Scholarships, Goldwater Scholarships, Truman Scholarships, and memberships on the USA Today Academic All American Team. This entry was posted in Journal updates, Methods papers and tagged Active Weirs, Coastal Wetlands, ecology, Eric Sparks, Flooding, George Ramseur Jr, Global Warming, Julia Cherry, Just Cebrian, Mesocosms, methods, Mobile Bay, rising sea levels, Sea Level Rise, Tidal Wetlands, University of Alabama, Weeks Bay National Estuarine Research Reserve, Weirs by Chris Grieves. Bookmark the permalink.